Home / Design Lab / Design Tool / Why Truncated Projection? Fulldome projection fills an entire hemisphere with imagery, as in traditional planetarium projection. Truncated projection fills slightly less than the entire hemisphere, similar to the original IMAX theaters of the 1970’s. While OmniFocus systems can deliver either fulldome or truncated projection, we prefer to use truncated projection whenever possible. Here’s why. Refer to the image above of a typical display panel with a 16:10 aspect ratio for this discussion. 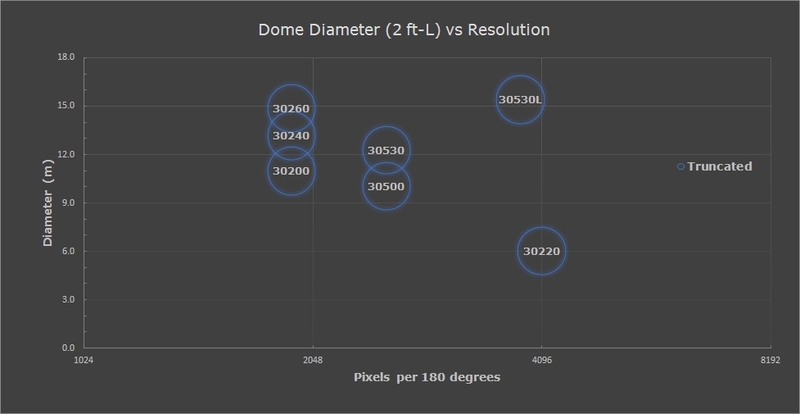 Fulldome projection from a single projector solution means that the projected pixels are limited to a fully inscribed circle on the display panel. This means that only 49% of the available pixels are used, and the resolution is limited to the vertical resolution of the projector. Truncated projection optimizes the use of a single projector by inscribing the projected circle along the horizontal of the display panel. Truncated projection uses 82% of the available pixels. 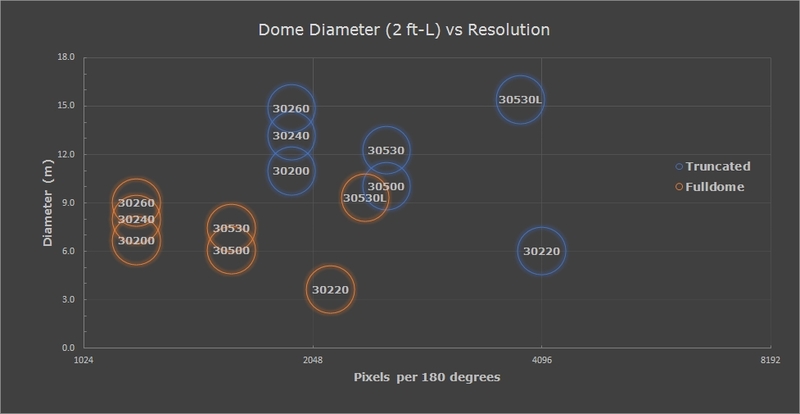 Select Truncated and Fulldome in the image below to see how Elumenati OmniFocus projection systems increase in both brightness and resolution when used in Truncated mode. Modern immersive environments typically use theatrical seating, with the audience all facing forward. Fulldome projection wastes much of the projected image which is behind the audience and rarely if ever seen.. Truncated projection places all of the image in the audience’s natural field of view and increases both brightness and resolution by roughly 60% over fulldome projection. The following illustrates typical planetarium environments using both fulldome and truncated projection. The OmniFocus projection system is placed in different locations relative to the opto-mechanical projector (starball). 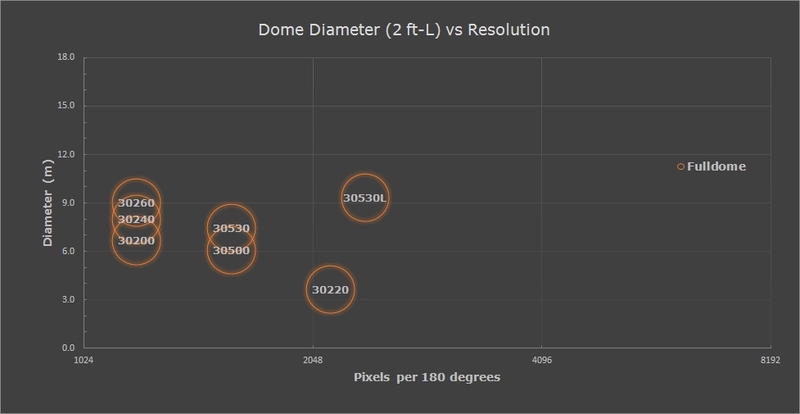 The orange section of the dome represents the extent of the projected image. Notice that in all cases using truncated projection that the “shadow region” where there is no image on the dome is always behind the user and essentially ignored.